City had won the game by that point. Peter Thorne's brace had made it an extremely satisfactory holiday period with a penalty on 55 mins after Cameron Jerome has turned his marker and closed in on goal. Jerome was felled and the referee had no hesitation in pointing to the spot. It was little doubt it was a penalty and after some words between Thorne and Langley it was City's leading scorer who placed the ball on the spot. He made it look simple with a cool finish past Gerrard in the Forest goal. Thorne's second killed the game off in the 86th minute, a Kavanagh corner was met by James Collins who saw his effort blocked on the line, Thorne was there to stab in the loose ball and the game was won. Kavanagh added the icing on the cake when he picked up possession on the half way line, he started towards the Forest area and was allowed to run as far as the 18 yard box where he unleashed a rocket of a left foot shot into the roof of the net giving the keeper no chance. Kav pulled his shirt over his head Ravanelli style and slid towards the Bob Bank. He then stood up and duly bowed to the Grange End. Forest re-started and the whistle went. City again met for a post match huddle, they did it after the win at Derby on Saturday. kavanagh was extremely aggressibve with his fist pumping and actions as he kept tugging at the captains armband, a sort of "I'm the captain, don't *&%$ with me" type attitude. Can I commend both sets of fans for another impeccable minutes silence in respect of the South East Asia Tsunami victims. City were on top from the start, all the action was heading towards the Forest penalty area. City dominated possession and chances but there was a familar feel of not being able to make the killer breakthrough. We've pullverised Leeds and Leicester before and only managed 0 - 0 draws. City stuck to the task, chances fell to McAnuff, who at the second attempt shot at the keeper and Thorne who headed into the ground before the keeper claimed the ball. At half time City came off in total control but without a goal to show for it. It took 10 mins of the second half before Jerome won the penalty. Jerome broke through again soon after and went for goal rather than the square ball for better placed colleagues. Jerome's shot was well saved by Gerrard. City then had a shaky spell in my view. Forest saw a bit more of the ball but struggled to make chances. They looked better with half time sub Johnson on the pitch than they had with Neil Harris in the first half. "Harris Harris what's the score" will stick with the former Bluebirds loan player for quite a while I'd imagine. City then killed the game off with Thorne's second and Kavanagh's piledriver in the last of 4 mins injury time made the scoreline reflect the performance. 13 on target efforts to 1 tells it's own story. So after two disappointing draws against Wolves and Watford City have turned in two decent performances against Derby and Forest. A haul of 8 points from 4 Christmas games is a very creditable acheivement. City have managed to win back to back league matches for the first time this season and we have kept three clean sheets in a row, the first time in the league since November 2002 (excluding the glorious 3 play off games in 2003). Two other points to note from today. 1, Paul Parry came on as a sub late in the game and after 4 mins of being on the field he was scythed down by Mathieu Louis-Jean, the Forest player, himself a substitute was yellow carded but it could have been red. Parry was taken to hospital and at the time of writing his condition is unknown but there are worrying rumours of a potential broken leg. 2, Forest were eventually reduced to 10 men when Jon Hjelde crudly took out Cameron Jerome. Hjelde was given a straight red for an appalling challenge. Parry's injury aside it's been a good couple of days for City. With other results now in we can see 5 teams above us within 3 points. Rotherham on the bottom are 11 points behind, Forest 6 points and Gillingham 4 points. Looking up though we can just about touch Coventry, Wolves, Brighton, Plymouth and Watford. There's a two week break now from league action. City are at Elland Rd on Jan 15th. 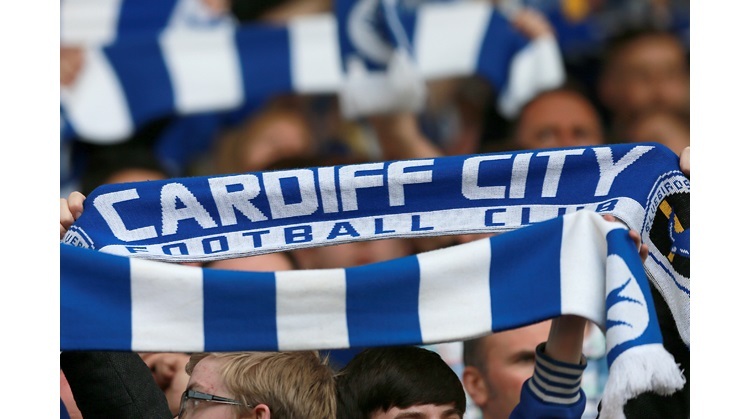 Before that we can enjoy a cup tie against Blackburn Rovers at Ninian Park next weekend. No pressure. With the last few results under our belts we can go for it against Premiership opposition. Unbeaten, maximum points and no goals conceeded so far in 2005.